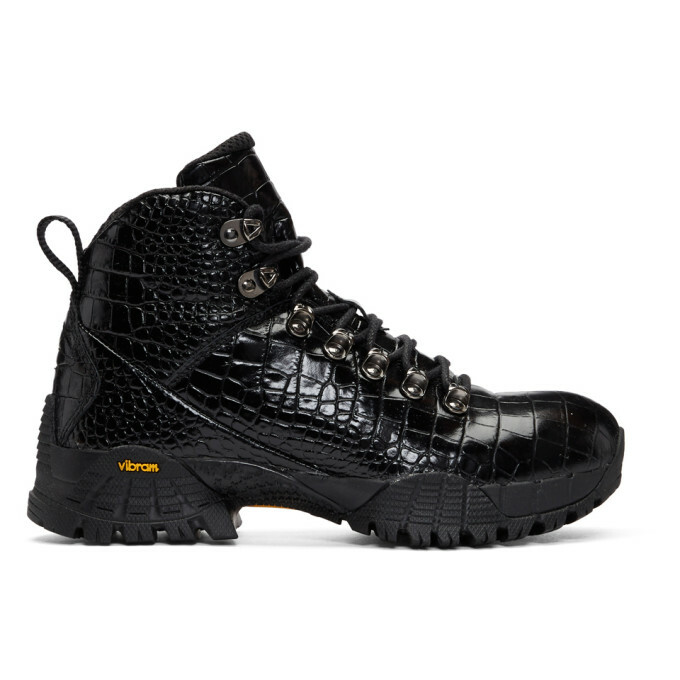 Ankle high croc embossed leather boots in black. Round toe. Lace up closure. Padded tongue and asymmetrical collar. Webbing pull loop at heel collar. Logo embroidered at heel counter. Mesh and leather lining. Treaded Vibram rubber sole in black. Tonal stitching. Part of the Alyx x ROA collaboration.